Anonymous v. Kaiser Foundation Health Plan of the Mid-Atlantic States, Inc. This is a failure to diagnose Down Syndrome wrongful birth medical malpractice case. This lawsuit was filed in Prince George's County on January 13, 2017. It is the 20th medical malpractice claim filed in Maryland in 2017. Plaintiff sees Marlow Heights Medical Center during her pregnancy. Marlow Heights is a Kaiser Permanente facility in Temple Hills at the corner of St. Barnabas Road and Branch Avenue (Route 5). This facility provides her obstetrical care throughout her pregnancy and performs the ultrasound for the plaintiff's first-trimester screening. When the plaintiff is about 20 weeks into her pregnancy, she has a fetal anatomical ultrasound. This is deemed to be incomplete, and a short-interval follow-up is advised by the defendant doctor. Another ultrasound is done two weeks later, and the radiologist is unable to adequately visualize the fetal left ventricular outflow and facial profile. Defendant doctor reviews the results and instructs her to return for more imaging. Plaintiff returns two weeks later, and another ultrasound is done when she is 24 weeks pregnant. This time, the radiologist notes that visualization is complete and that there is persistent mild renal pyelectasis up to 5.7 mm bilaterally. The defendant doctor orders a targeted sonogram. Plaintiff is seen by a different doctor for a high-risk consultation. The targeted ultrasound does not reveal any abnormalities other than bilateral pyelectasis and an excess of amniotic fluid. Plaintiff declines non-invasive prenatal testing and opts for amniocentesis after being told about the risk of pregnancy loss. Amniocentesis, typically performed at 16-18 weeks has historically provided the safest and most accurate diagnosis of birth defects and genetic disorders. Her test results are strongly suggestive of Down Syndrome. At this point, since she is 26 weeks pregnant, it is too late to terminate her pregnancy. She has a Cesarean section done at full term, resulting in a baby boy born with Down Syndrome. Plaintiff brings this suit, alleging a negligent failure to provide adequate medical guidance that would have given the mother the option of terminating the pregnancy 6 weeks earlier. Plaintiff claims those six weeks was, to put it bluntly, the difference between getting an abortion or not. This case was dismissed and refiled. Not realizing this, we summarized it a second time with a slightly different spin. Other jurisdictions have categorized negligence claims related to unwanted children under three theories of recovery: wrongful conception, wrongful birth, and wrongful life. 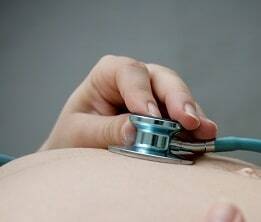 Wrongful conception is the idea that the doctor should have detected a healthy but unwanted pregnancy. This is a very hard claim to justify. The value of a child, for a reasonable person, is always going to outweigh the normal cost of raising that child. The child does not have a claim. Maryland has never recognized a cause of action for being born which is a claim for wrongful life. Some jurisdictions allow these claims which claim on behalf of disabled children that the child would have been better off never to have been born. Philosophers wrestle with this issue. Are their circumstances where nonexistence is preferable to life? The measure of damage in a wrongful birth case is child-rearing costs to the age of child's majority, offset by the benefits derived by the parents from the child's aid, society, and comfort. Think about that. On its face, it says that the joy the child brings is not worth the cost. Are parents damaged as a result of their lost opportunity to make the choice not to have a disabled child? Framed this way, it is easy to take exception to these claims. But courts - and juries - have not taken this entirely literally. In this case, you can expect the damages will not be the normal costs of raising the child but the extraordinary costs that may be involved in caring for a child with Down Syndrome. Call Miller & Zois today at 800-553-8082 if you have suffered an injury or lost a loved one as the result of a needless mistake of a doctor or hospital. We can help you get the justice and money compensation that you deserve. Our attorneys have a long history of getting meaningful results in every corner of Maryland. You can also get a free case evaluation. Sample verdicts and settlements in Maryland malpractice cases.